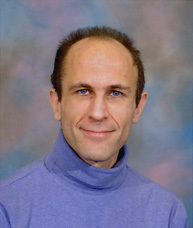 Professor Blackman received his BS in Physics and in Mathematics (1990) from the Massachusetts Institute of Technology. After doing the post-graduate Part 3 Math/Theoretical Physics Tripos program at Cambridge University (1990-1991), he went on to receive his PhD in Theoretical Astrophysics (1995) from Harvard University. He was a Research Fellow at Cambridge University (1995-98) and at the California Institute of Technology (1998-99). Professor Blackman joined the University as an Assistant Professor of Physics and Astronomy in January 2000. He was promoted to Associate Professor in 2003 and to Professor in 2004, and also is a Senior Scientist at the Laboratory for Laser Energetics. He received the the 2000-2003 Faculty Development Award in Plasma Physics from the Department of Energy, and elected fellow of the American Physical Society in 2005. Professor Blackman's research is in the general area of Theoretical Astrophysics. His work focuses on the problems of plasma astrophysics, jets and active galactic nuclei, accretion disc physics, gamma-ray burts, the origin and dynamics of astrophysical magnetic fields, and particle acceleration. Professor Blackman is also a member of the Department's Plasma Physics program, which is part of the University's interdisciplinary program in High-Energy Density Plasmas. In collaboration with faculty at the University's Laboratory for Laser Energetics (an Inertial Confinement Fusion facility) he is seeking to bridge the gap between astrophysical and laboratory plasmas.